Early estimates suggest that 2017 is the deadliest year yet for drug overdoses in America. Some 72,000 people died—that’s 200 people a day or one death every eight minutes. This means drug overdoses in 2017 killed more people than guns, car crashes, or HIV/AIDS ever did in a single year in the US. By comparison, at it’s worst, the HIV crisis led to 43,000 deaths in 1995, while in 1972, car crashes killed a record setting 55,000 people in the country. Alarmingly, these dark statistics represent an increase from 2016 figures on overdose deaths released by the Centers for Disease Control (CDC)—which itself was a record-setting year. The opioid epidemic is driving the record-setting numbers of overdoses, with the synthetic opioid fentanyl being a heavy contributor. The drug is cheap, easy to make, easy to transport, and increasingly being mixed with heroin and other drugs. Because of its unprecedented strength—some 50 times more powerful than heroin— it can overwhelm even experienced drug users, leading to overdose. 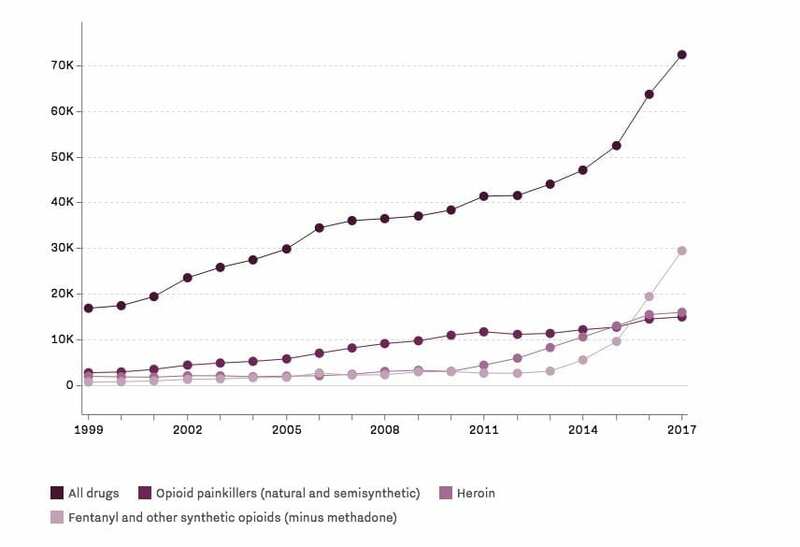 In certain markets, the mixture of synthetic drugs added to heroin changes frequently, further increasing the risk to users. Despite this bleak picture, the data indicate some scattered reasons to be hopeful. States that invested in addiction treatment and other interventions saw declines from alarming death rates, indicating that treatment works and all is not lost. For example, in Ohio, home to one of the worst-affected counties in the country, the health department recorded a reduction in OD deaths following a state-led campaign to reduce opioid prescribing, and increase access to additional treatment and anti-overdose medicines like Naloxone. Massachusetts, Vermont, and Rhode Island launched major public health campaigns and increased access to addiction treatment and saw corresponding drops in the overdose death rates. Early statistics from Massachusetts indicates these interventions have had meaningful impacts. Despite the promising signs that increased access to drug treatment works, there are concerns that the epidemic could intensify elsewhere. Fentanyl most commonly effects drug supply east of the Mississippi, where it is more easily mixed with the white powder heroin available there. 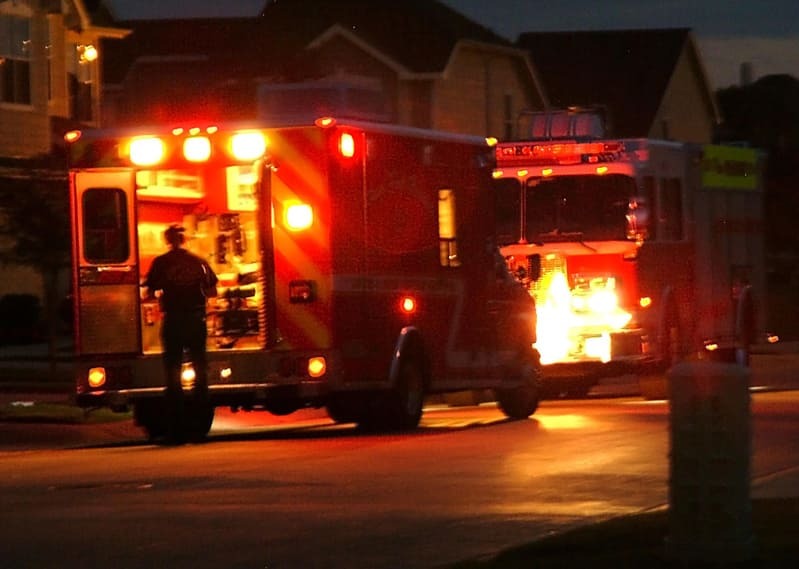 Public health officials report that there are early indications that distributors are finding ways to add fentanyl to the black tar heroin found on the west coast, which could lead to an explosion of overdose rates there. Like other chronic illnesses, addiction can be managed successfully. Treatment allows people to interrupt addiction’s powerful disruptive influence on the brain and behavior and to regain order in their lives. 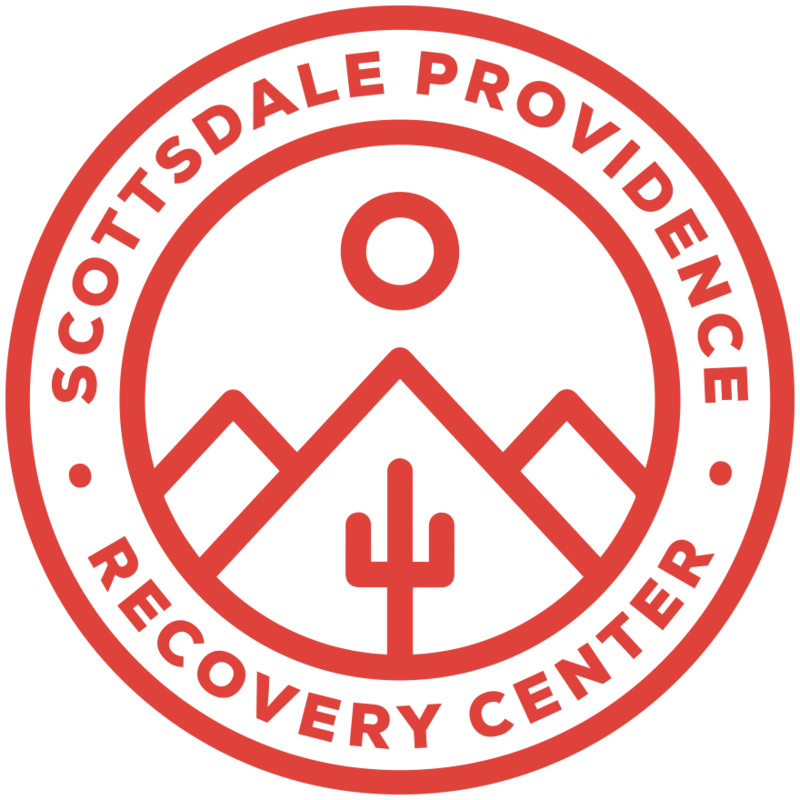 At Scottsdale Providence we are invested in rebuilding lives. In addition to helping people get clean and sober, we work to give our clients a foundation in recovery that will enable them to return to vital positions in their families, workplaces and communities. We are honored that our work here saves lives, and will continue to practice what we know works to fight for every person who walks through our door.